Everlast Window and Door is a Seattle-based company specializing in residential and multi-family window and door installation. Everlast is a certified Milgard dealer (including the Essence line), PSE Tier-1 Provider, EPA Lead-Safe Certified, and an accredited business with the BBB. 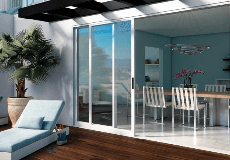 Whether it is vinyl windows, vinyl doors, aluminum windows, aluminum doors, aluminum clad wood, wood windows, wood doors, fiberglass windows or fiberglass doors, we can provide the product that suits your project or home. Everlast services the metropolitan Seattle area including north Seattle, Kirkland, Mercer Island, Bellevue, Redmond, Sammamish, Issaquah, Renton, Burien, Seatac, Des Moines. Our projects include single-family residential homes and multi-unit buildings. Greater Seattle, North Seattle, Kirkland, Mercer Island, Bellevue, Redmond, Sammamish, Issaquah, Renton, Burien, Seatac, Des Moines. Everlast Window & Door is rated 4.7 out of 5 by 18. Rated 5 out of 5 by Quint01 from Very Professional Everlast did a wonderful job on our project. I was impressed with their professionalism and craftsmanship. Rated 5 out of 5 by Leenda from Very helpful and attentive to our needs We are a small condo building in West Seattle. Some years ago some of the windows in the buidling were replaced (two sides of the building that required new siding). However, the other two sides were ignored I suppose to save money. When I moved into a unit with the old windows it became clear to me I was losing a lot of heat through my old aluminum frame windows and they also looked bad. So I made it my mission to get the job completed to protect the integrity of the building - my investment. We still had to finish the project in two phases due to money issues, but it is now DONE!! I am so happy with the new windows, especially my slider to the deck which opens with such ease. Everlast was wonderful to have the patience to do this relatively small job in two phases. Louis is a gem. Personable, professional and patient! And the installation crew - fabulous. They even took down a heavy piece of antique stain glass I have hanging in front of my dining room window and gently set it where I pointed, then put it back up. They didn't leave a big mess behind, which I greatly appreciate. Bottom line, these guys are great, the windows are beautiful and my lovely little condo no longer hemorrhages heat! Thanks guys! Rated 5 out of 5 by nmed from Great Job! We have a stucco apartment building so we were very worried about how upgrading the windows would effect our exteriors, as several other window installers had said that there could be damage when the window were replaced. We were advised by our salesperson at Everlast to use Tuscany "stucco fin" window. We were very happy with this application and the results. The windows look fantastic and there was no damage to the stucco at all. The Everlast installers were very careful and took extra time to make sure that the job was done right. We highly recommend this dealer! Rated 5 out of 5 by Jenn223 from Smooth installation of New Windows! I manage 25 multi-family properties and have used several different window companies for replacement windows. Everlast Window and Door exceeded my expectations in every way. They were organized and on time and budget with the installation. The site manager appreciated the way that the installers cared for the property and kept the areas they were working clean and safe. The tenants are very happy with their new energy efficient window upgrades from the single pane windows that were replaced! Thank you Everlast for a job well done! Rated 5 out of 5 by BarbaraB from Very responsive, helpful and got me just what I wanted! I selected Everlast Window & Door to replace the old windows in my Home. Louis understood what I wanted and helped me every step of the way. The work was done on time and on budget. The end result turned out better than I could have hoped. I'm very satisfied with Everlast's work and would recommend them!